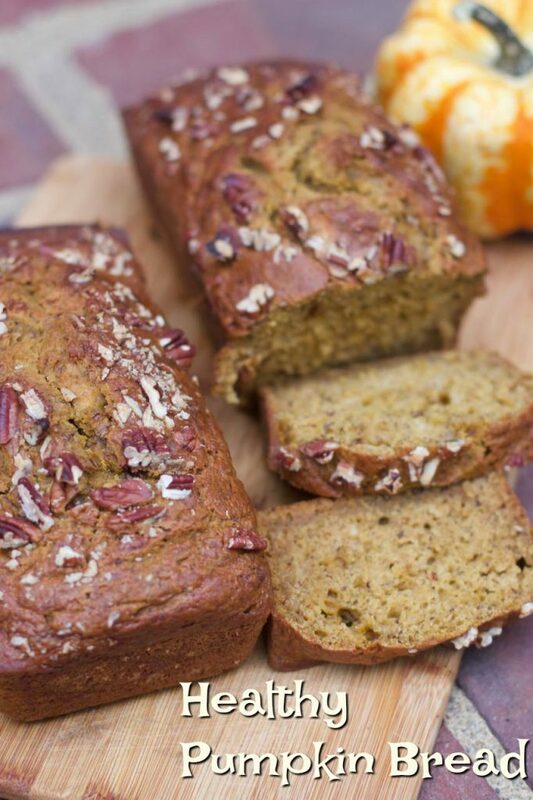 Looking for a Healthy Pumpkin Bread Recipe that is flavorful? We have the one for you and it has a secret ingredient. Fall and pumpkins are synonymous this time of year. I was so thrilled to find a can of pumpkin in my cupboard just waiting to be opened this fall. I googled a few pumpkin bread recipes and found one on Cookinglight.com that was not only low in fat but had an ingredient I had never thought to use before, beer. Don’t worry about feeding this to your kids, the alcohol gets burned off in the oven. Also I would recommend making at a time in the day that you can finish the rest of the beer as you don’t use a full bottle and who wants to waste a good beer. Other option is to make a double recipe which will yield 4 loaves, trust me you will thank me for making the double recipe. 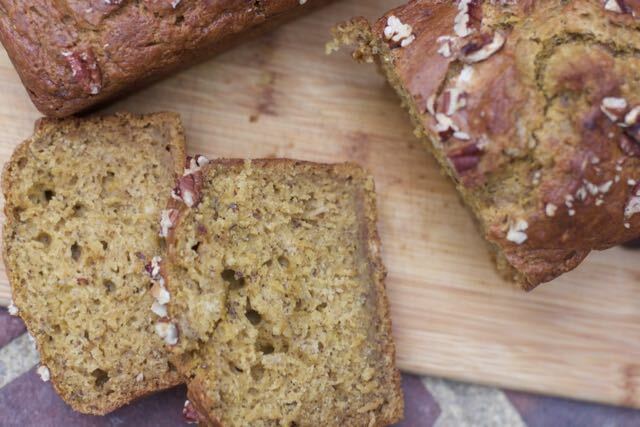 Another reason I picked this pumpkin bread recipe was because it used ground flax seed and I had just bought some homemade chewy granola bars and did not know what to do with the rest. 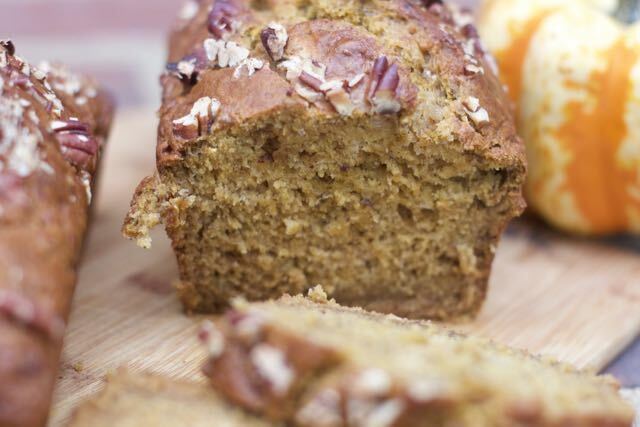 This healthy pumpkin recipe can be made even healthier by substituting half the flour for whole wheat flour. I reduced the sugar and used applesauce for half of the oil too. This turned out super moist. I usually put chocolate chips in my pumpkin bread but I was trying to keep it healthy so simply added chopped pecans on top of each loaf before baking. Added protein of course. I think they turned out very good-looking. These pictures don’t do justice to this bread, it was so moist and delicious I could have eaten the whole thing. Be sure to pin this recipe for Pumpkin Honey Beer Quick Bread next time you have a hankering for Pumpkin Bread. What are you favorite pumpkin recipes?? Lghtly spoon flour into dry measuring cups; level with a knife. Combine flour, salt, and next 4 ingredients (through pumpkin pie spice) in a medium bowl; stir with a whisk. Combine 1/2 cup water and flaxseed in a separate bowl and let sit. Place sugar and next 4 ingredients (through eggs) in a large bowl; beat with a mixer at medium-high speed until well blended. 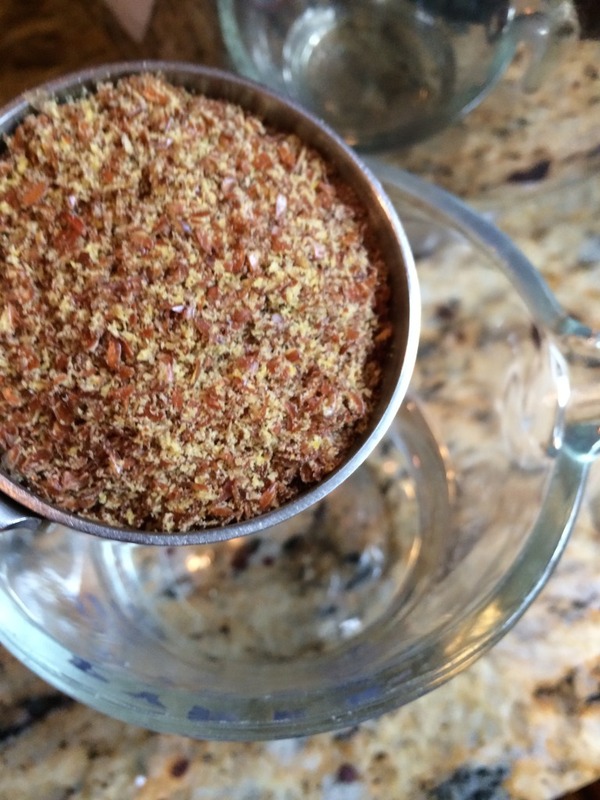 Add flaxseed mixture and pumpkin; beat at low speed just until blended. Cool 10 minutes in pan on a wire rack and cool completely before serving. I hear about beer bread all the time but I have never actually tried making it. I love cooking with pumpkin this time of year! This looks delicious and l suspect, it’s low calorie. I’m a big pumpkin pie fan and will test this out. I have never tried pumpkin. But, this recipe is so tempting. This looks like a fun recipe to make. I bet the family would love this! Absolutely adore pumpkin bread but never in a million years did I once consider to add ale to the mix. Kids would probably think it’s so cool that you used beer in the pumpkin bread! Actually, I do too! Ok, I definitely would love to make this for my family! We’re pumpkin nuts! That does look good – does the beer give it a deeper flavor? Definitely have to give it a try and see! I would have never thought of adding beer to bread. 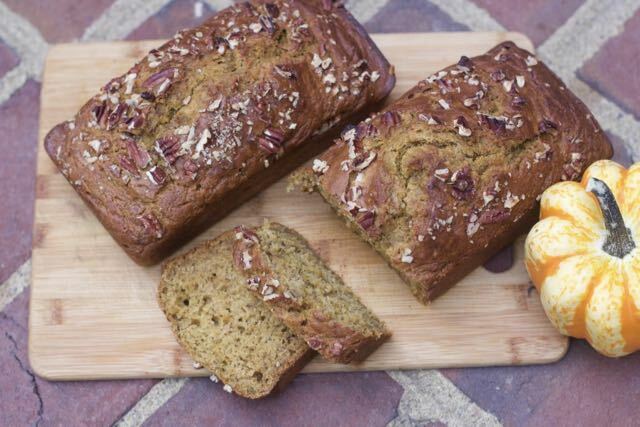 I love pumpkin bread, it’s on my list to make this Fall! This bread looks and sounds delicious!! Saving this so I can make it very soon! Wow, this looks incredible and I’m sure it tastes amazing! I will have to convince my mother-in-law to make it for me becasue I don’t know if I could pull it off, lol! I love that you use beer in this recipe. It sounds delicious. I bet my stepdad will love this!